I first saw this on my fellow blogger’s post. Edel of Life in Manila, was raving about this books and it’s sequel. This bookworm was really curious! And so when she gave me a copy one fine morning, I was sooooo happy! 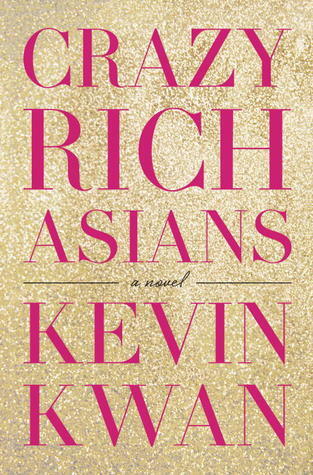 Crazy Rich Asians talk about the crazy life of Asia’s billionaires and their heir. They talk about private jets, millions of dollars worth of dresses and shoes and couture. It was such a fun read! I love reading books because I get to learn a lot. It feels like I get to know a thing or two about the different cultures. I get a glimpse of the lives of people around the globe. And it was such a fun experience. Crazy Rich Asians surely gave me a different perspective on the lives of the rich and famous in Asia. This long weekend is perfect! Get a cup of coffee, tea or hot choco, curl up in bed and read! Woooow! Naisip ko palang yun, naiinggit na ko sa inyo. I miss reading, in peace. I miss spending my weekends reading a book. Not putting it down until I’m done. I miss curling up in bed and reading. Sometimes with coffee, sometimes with chips. And then I’d felt like I had the most perfect weekend. This book took me months to finish! I could only read it at night while breastfeeding. And then I’d have to remind myself that I need to put it down (kahit deep down ayoko pa) because I need to get up early the following day. Actually, I need to wake up around 3AM to feed my half asleep darling. Hay! Sometimes I miss my old life. But I will never trade off my current life. I miss my old life but my current life feels complete. It feels me. I am happy. As in really really happy. Now, off to toddlerdom. Where I get to chase my darling little snitch! Toodaloo!